INDIANAPOLIS -- A new study from the School of Science at Indiana University-Purdue University Indianapolis looks at how much African Americans and whites favor or prefer their own racial group over the other, how much they identify with their own racial group, and how positively they feel about themselves. 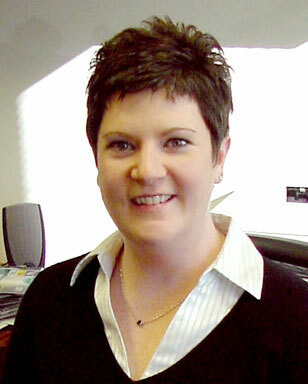 The work, by Leslie Ashburn-Nardo, associate professor of psychology in the School of Science at IUPUI, looked at both consciously controllable sentiments and gut feelings about social stigma and found a significant difference in both groups between what people say they feel and their less controllable "gut feelings." "The Importance of Implicit and Explicit Measures for Understanding Social Stigma" appears in the current (September 2010) issue of the Journal of Social Issues. Many studies of stigma have been conducted since the end of World War II, but until recently they have looked primarily at explicit (recently learned) attitudes and did not include implicit measures of deep-seated feelings acquired earlier in life and not consciously accessible. To explain the difference between explicit and implicit measures, Ashburn-Nardo uses an illustration from everyday life. "You may be asked how you feel and you respond, "I'm OK," yet your body is showing signs of distress (e.g., high blood pressure or fast pulse rate)," she said. "You're not necessarily lying when you say 'I'm OK.' It's more likely that you just may not realize how stress is affecting you. "Explicit measures are much like your 'I'm OK' response to how you are whereas implicit measures are like the blood pressure cuff or stethoscope findings. It's important that we don't rely exclusively on the asking and neglect the less easy-to-access information if we hope to increase our understanding of stigma and be in a position to help people," said Ashburn-Nardo. "This study provides a greater understanding of how stigma affects people in ways in which they are unwilling or unable to report explicitly. For over half a century social psychologists have asked members of stigmatized groups how they feel about themselves and about the group to which they belong. But they have only been learning part of the story -- the perceptions individuals realize they have, not the ones they may have internalized over a long period of time. That is, people might suffer more from experiences with prejudice than they are able to report via questionnaires," said Ashburn-Nardo. The School of Science at IUPUI is committed to excellence in teaching, research, and service in the biological, physical, behavioral and mathematical sciences. The school is dedicated to being a leading resource for interdisciplinary research and science education in support of Indiana's effort to expand and diversify its economy. For more information visit www.science.iupui.edu.